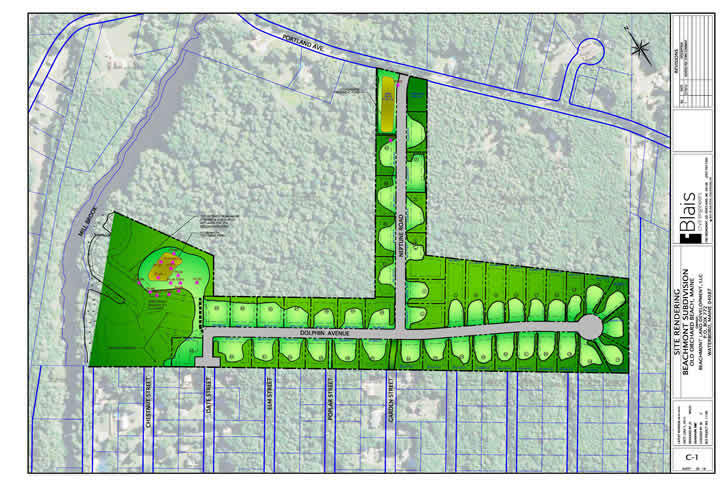 To build a 44 lot clustered subdivision for 1,700 sf. single family ranch and cape style detached homes with a minimum 20,000 sf. lot size an 8.7 acre open space parcel on this 35 +/- acre lot. Provided project management, permitting and associated design and construction services through municipal/state approvals. This development will provide access for the public to Mill Brook, the Eastern Trail and Milliken Mills Pond. Since the public sewer system had not been extended to this area, the requirement in the town's subdivision ordinance that calls for clustered subdivisions to have a central sewer system was waived. This subdivision of modestly priced homes offers two-bedroom and three-bedroom homes in the range of $200,000 and up.